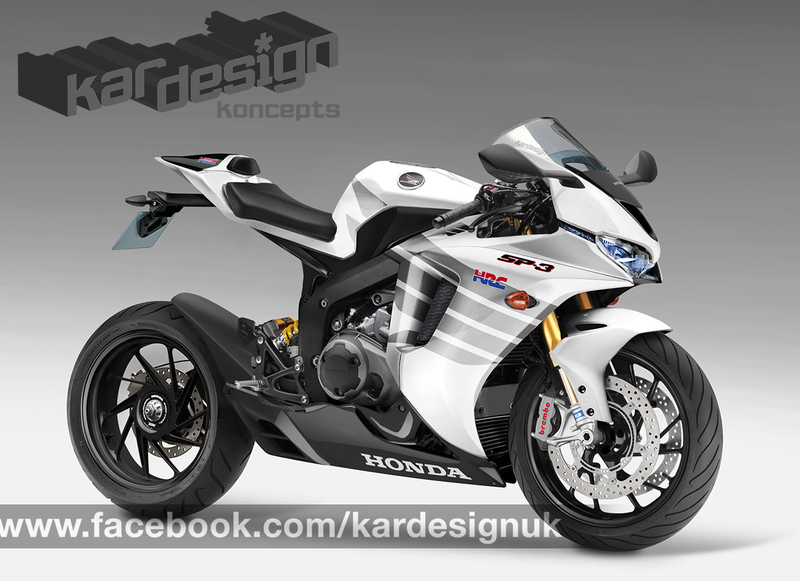 Forget £15k Fireblades and £137k V4s, if Honda brought the V-twin back we’d snap up an SP-3. With Ducati’s leaked move towards the V4 for their Panigale and rumours of a more budget-friendly V4 on the way, could the ever-increasing upward spiral of pricetags be due a backlash from concerned riders? V4-tech is all well and good but with that sophistication comes complexity and manufacturers have to claw back all that R&D from somewhere. Even established flagship sportsbikes like the Fireblade and GSX-R1000 have seen their prices go through the roof thanks to the addition of electronic rider aids such as Traction Control, Quickshifters and ABS as standard. On area where they could reduce cost is in the number of components and moving parts – halve the number of cylinders and the production costs would naturally come down. There was a time when V-twin sportsbikes where all the rage, we believe it’s due a resurgence. We’d like to see the likes of updated Suzuki TLs and Honda Firestorms thudding across the landscape again and one such machine topping our list would be the SP-1 and SP-2. Codenamed RC51, Honda’s VTR1000 SP-1 was the bike built to take on Ducati’s 916 dominance in WSB. Launched to huge fanfare in 2000, the 999cc V-twin was long-awaited and well received thanks to the monstrous power delivery and stable handling. It was leagues ahead of the cooking VTR Firestorm and powered Colin Edwards to WSB victory in its premier year, and again in 2002. In the same year a Honda re-vamp gave us the SP-2, complete with revised fuel injection to address the snatchy delivery (as well as improve fuel consumption) and tweaks to the rev-happy engine and chassis to boost power by a few bhp and shed a fistful of kilos too. Unfortunately, within a couple of years the SP-2 was out of fashion. It wasn’t winning races, it was heavier and it was more expensive than a lot of the competition. Honda turned their attention to the CBR range instead to spearhead their sportbike range. So while the world drools over the ludicrously-priced RC213V4 roadbike, we’ve built a virtual SP-3 to keep us dreaming. The SP-2 not only makes more power than the SP-1, but it also does it more frugally which is useful when it’s perfectly possible to drain an SP-1s tank in under 100miles. Our virtually updated SP-3 builds on that foundation and revised fuel injectors smooth out the throttle response to address the low-down snatchiness. While the Ducati Panigale has proved that a V-twin sports bike can make in excess of 165bhp at the rear wheel, we’d expect similar – but with a more useable midrange. 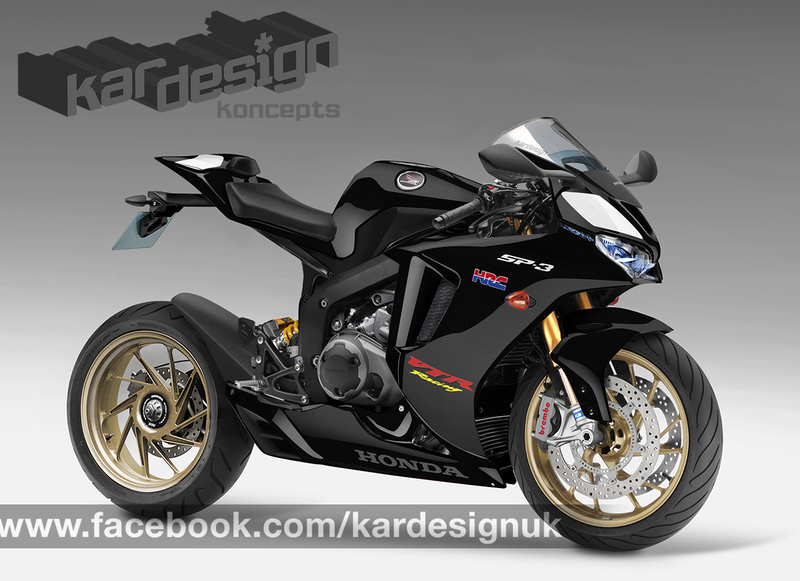 Using a mix of Fireblade, SP-2 and CBR600RR beam frame, we’ve kept the SP-3 compact. The single-sided swingarm didn’t do the RC30 and RC45 any harm so we’ve adopted that too, despite the added weight. With a smaller wheelbase than previously our SP-3 is more agile and features Ohlins suspension and Brembo stopping power from the Fireblade SP to ensure it behaves when the going gets tricky.